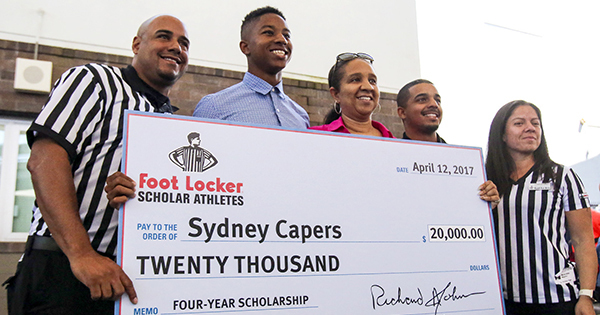 Foot Locker Foundation, the charitable arm of Foot Locker, Inc., annually awards $20,000 college scholarships to 20 outstanding student athletes who demonstrate strong academic ability and leadership skills in sports, school, and within their communities. With its investment in the Foot Locker Scholar Athletes Program, the foundation is committed to facilitating the success of tomorrow's leaders. 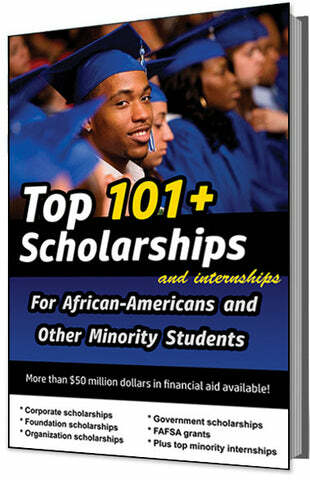 In addition to each student receiving a $20,000 scholarship, one of the 20 students selected, will be awarded the Ken. C. Hicks Scholarship (in honor of former Chairman and CEO), and receive an additional $5,000 for demonstrating superior academic achievement, outstanding leadership and a true love of the game. This year's winners will join the program's seven previous classes of Foot Locker Scholar Athletes, bringing the total number of scholarship recipients to more than 160 since the program's inception in 2011. As of 2018, the Foot Locker Foundation will have invested nearly $3 million towards the education and future of some of America's most promising scholar athletes. The Foot Locker Scholar Athletes Program is a key initiative of the Foot Locker Foundation, which provides support for educational and sports programs across the country. This program seeks to empower young adults who successfully take the skills they have cultivated in their team locker rooms, and apply them to their classrooms and communities. Students can apply online or be nominated by teachers, coaches, mentors, family and friends. The deadline for this scholarship is usually in DECEMBER, and the award amount is up to $25,000.